Think a television lift is only for the wealthy? Think again. More than 95% of U.S. households have at least one television set – and more than 50% are flat screen televisions (2013 data). People are investing thousands of dollars in the latest television technologies each year, yet only a few people invest in a quality cabinet to display their investments, thinking that television lift systems are too expensive, too hard to put together or just plain out of their reach. Yet – displaying those televisions in style is not only within reach, but could be just what you need to add storage and space to your home – and help you protect your technology investment from little fingers, dust and faulty wall brackets. Some of the latest flatscreen televisions weight more than 80 pounds, so securing them to a wall may not be the best option to ensure the safety of people in your home. 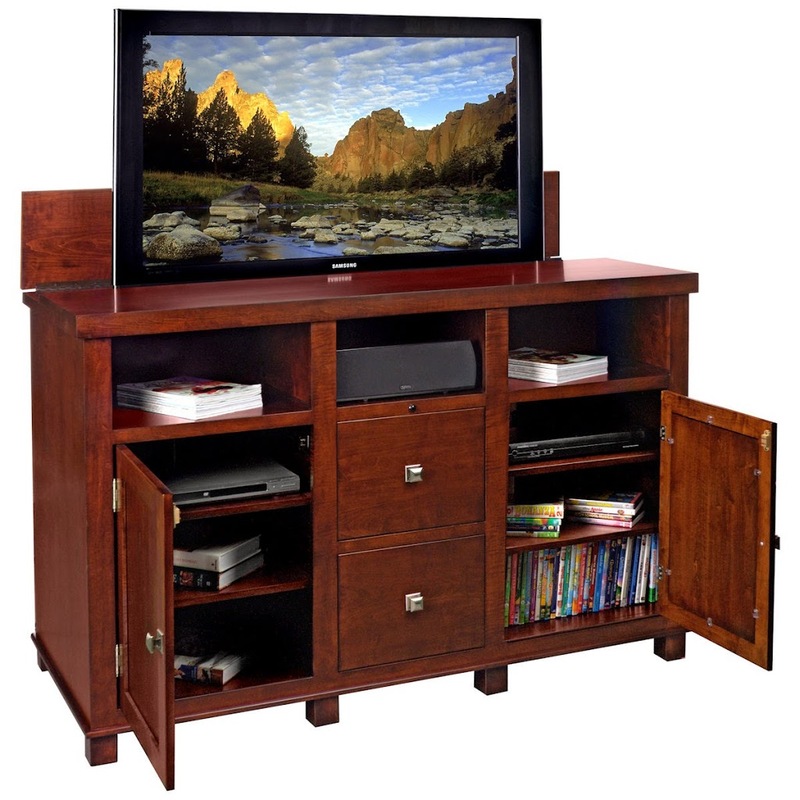 TVLiftCabinet.com has a wide variety of TV lift systems for your home – helping you reflect your personal style. Costs range widely – from $1699 to $3999. Most of the cabinets are solid wood, made in the USA and have built-in infrared to ensure that remotes work as they should. Plus all TVLiftCabinets are factory-direct. Everything comes assembled and ready to go. No hassles and no worries about your television falling off the wall. It’s a smart thing to do – and adds great style to any room.